Protein chemistry has entered a revolutionary era due to the introduction of genetic engineering for modifying protein structure, as well as the application of advanced computer technology to the study of proteins. By supplementing the traditional ways of studying protein behavior with these newer methods, food processors will be able to resolve difficult problems without using the costly trial-and-error-method so common in the past. This book gives the reader a good foundation in the basics of modern protein chemistry and to show how applications of these concepts to food proteins helps explain their roles in food processing. 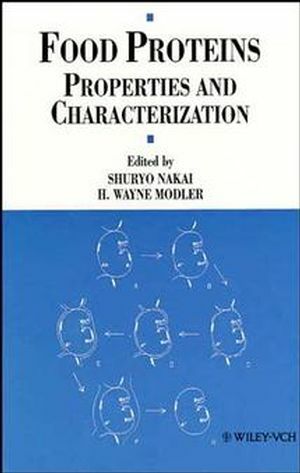 Shuryo Nakai and H. Wayne Modler are the authors of Food Proteins: Properties and Characterization, published by Wiley. Physical and Chemical Properties of Amino Acids and Proteins. Chemical and Enzymatic Modifications of Proteins. Nutritional Value of Proteins from Different Food Sources. Protein Analysis 1: Quantification and Physical Characterization.